Are you the kind of person that wants to live out in nature, but also wants the creature comforts of a modern home? 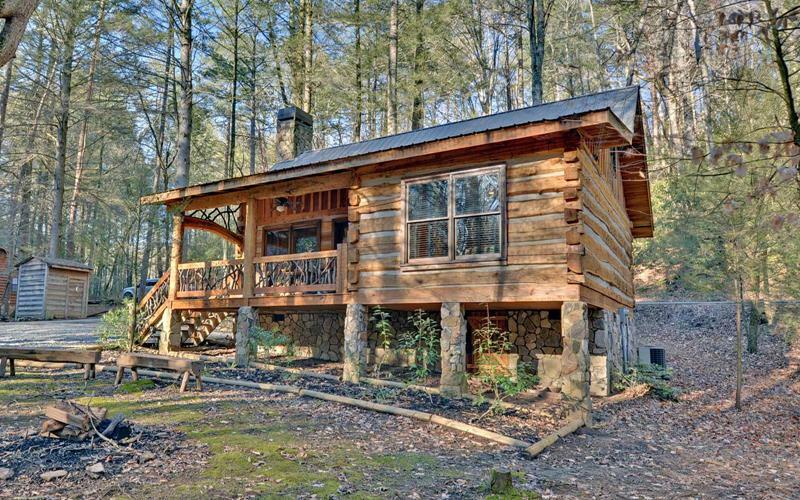 If that sounds like you, then we already know what kinds of homes most appeal to you: cabins! 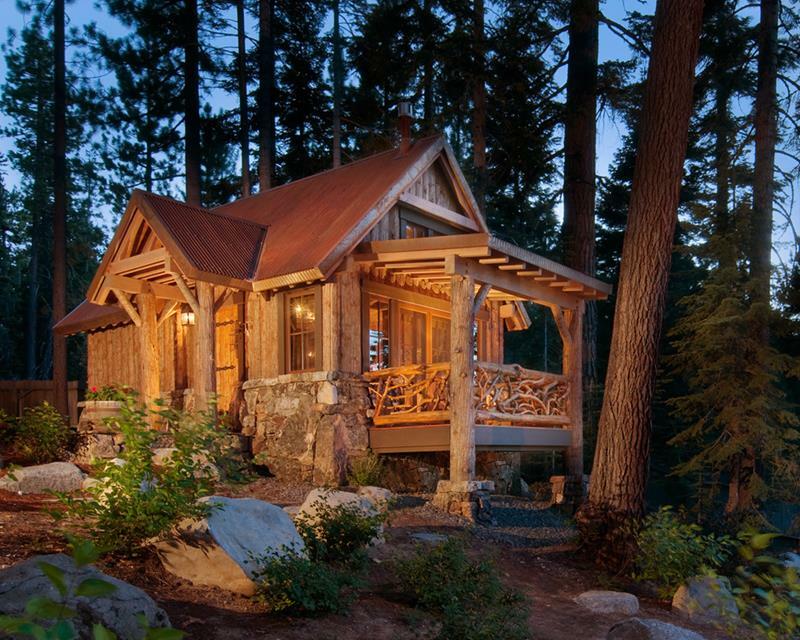 Cabins are simplicity personified, but they can also be quite beautiful. Without the adornments and design flourishes that mark traditional, suburban homes, cabins are something unique and different. 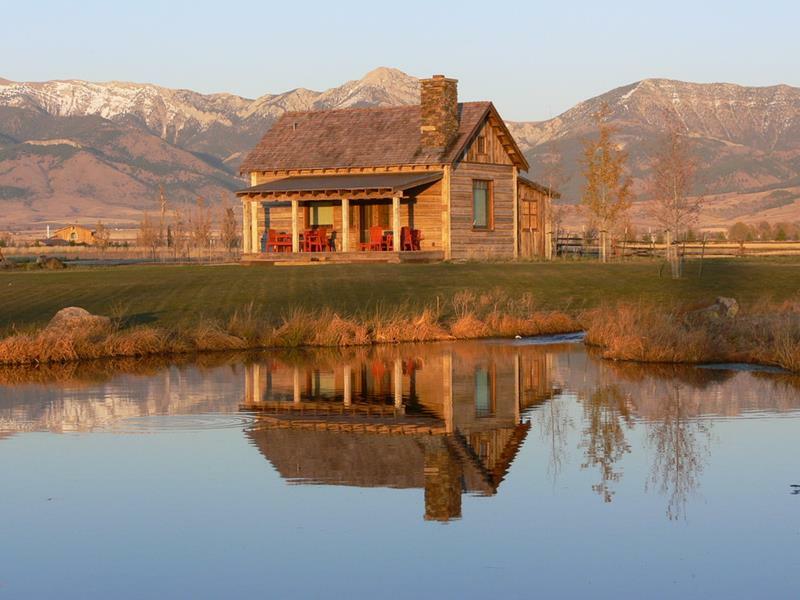 From log cabins to contemporary cabins, there’s a lot that goes into the design of these “simple” homes. 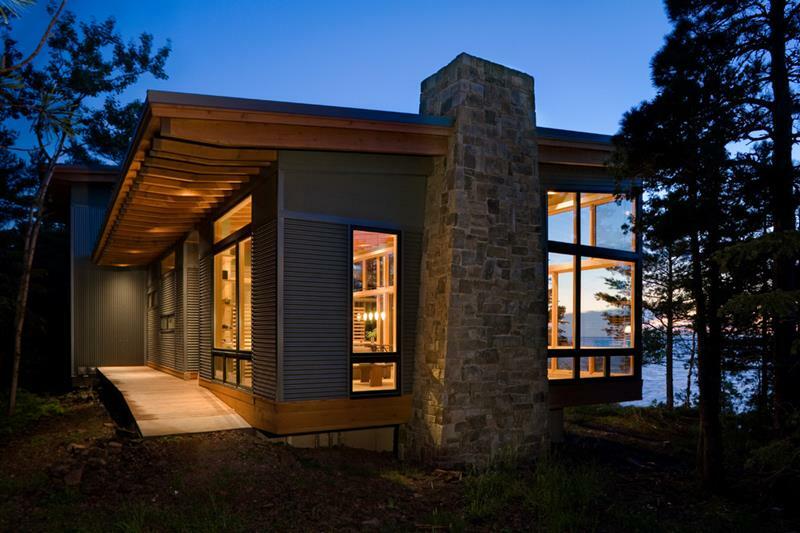 In fact, when you take a look at the 15 examples that follow, we think you’ll realize that there’s a lot more to beautiful cabin design than meets the eye. 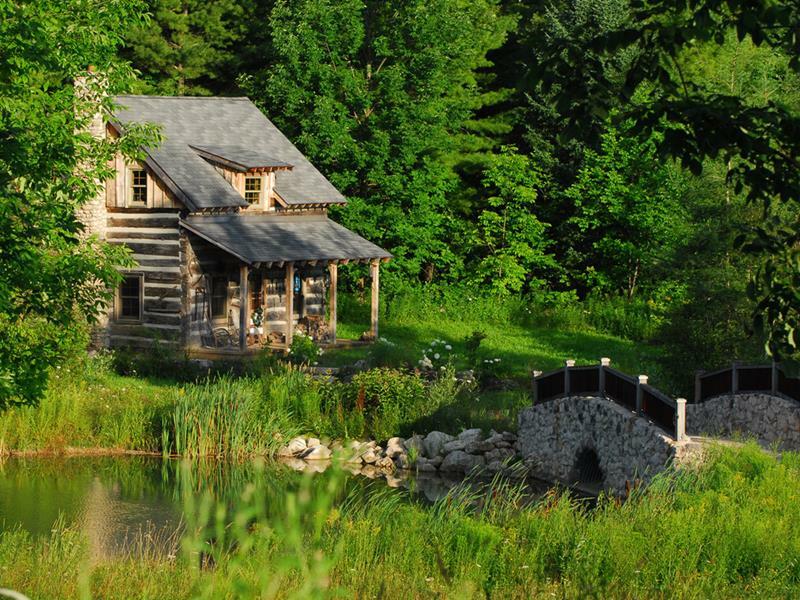 So, without further ado, let’s take a look at these 15 beautiful cabins! Clean in its line and profile, there’s a simple elegance to the design of this beautiful cabin. What really pops is the detailing on the porch railings. Cabins are prized for the simplicity of their design, though. In order to make a cabin standout, you need to include at least one unique element. Here it’s the red furniture on the porch. Though incredibly small, this cabin manages to achieve an almost imposing feel thanks to the eaves above the front door. 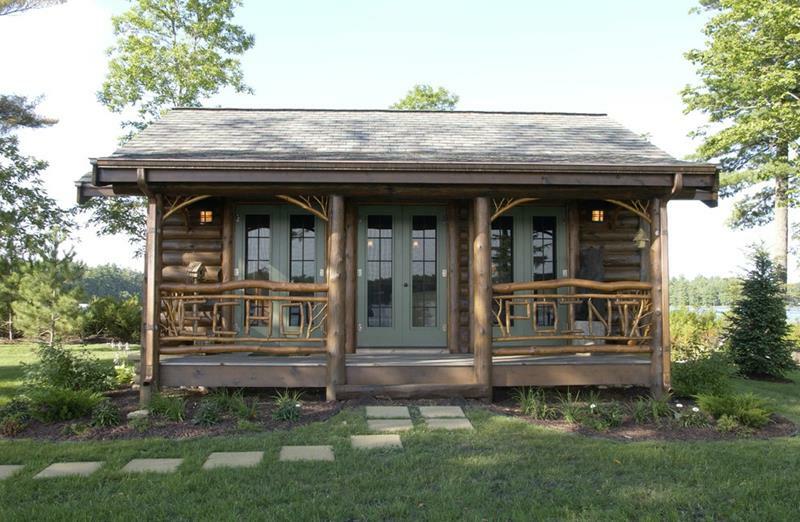 The green detailing of the front door and windows of this beautiful and slight cabin is an absolute delight. When you’re building a beautiful cabin, remember that it’s almost more a question of the environment around the home rather than the home itself.